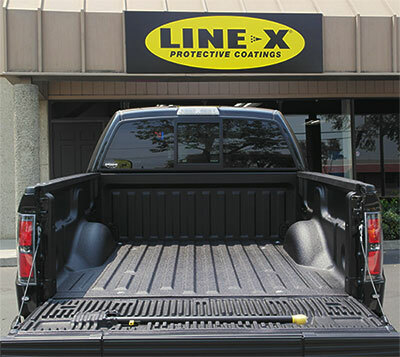 LINE-X specializes in spray elastomers polyurethanes and polyureas and has led the industry through many years of actual field testing. Specialized equipment is combined with the right materials and product knowledge to produce sprayable elastomeric coatings. LINE-X is the recognized leader in this industry. 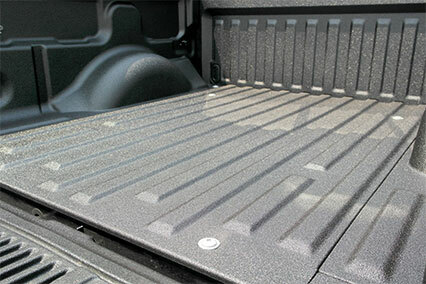 All systems utilize a two-component, spray-in-place, 100% solids (no air pollution), thermoplastic polyurethane and polyurea. There are two separate materials that are precisely dispensed through a high pressure, plural component internal mixing polyurethane spray machine. They are each heated to 120-140 degrees with the temperature maintained through a heated hose. Using high pressure, the materials are mixed internally at a 1:1 ratio at the tip of the spray gun. As the material is applied it takes less than 5 seconds for it to harden. As soon as LINE-X lands on the surface it's dry!